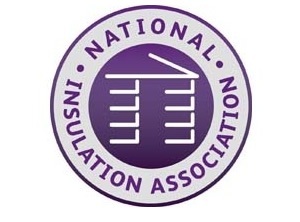 Lucideon is delighted to announce that it is now a member of the National Insulation Association (NIA). The NIA represents manufacturers, system certificate holders and installers of cavity wall, external wall, internal wall, loft, roof and floor insulation and draught proofing in the UK. For Lucideon, membership of the NIA will facilitate introductions within industry and the promotion of its services, as well as the opportunity to attend members’ meetings and the annual conference. The sharing of industry news and briefings on policy matters, regulations and technical matters will ensure Lucideon remains abreast of developments within this sector. “Being a member of the NIA will enable us to further support and provide up-to-date advice to our own customers who are key players in the External Wall Insulation (EWI) industry. “I’m very much looking forward to participating in the EWI Technical Committee meetings. Using our extensive knowledge and testing experience, we will be able to provide an insight into the key factors affecting the performance of EWI systems under the current controversial aspects of durability and resistance to wind loads which are negatively affecting the industry."